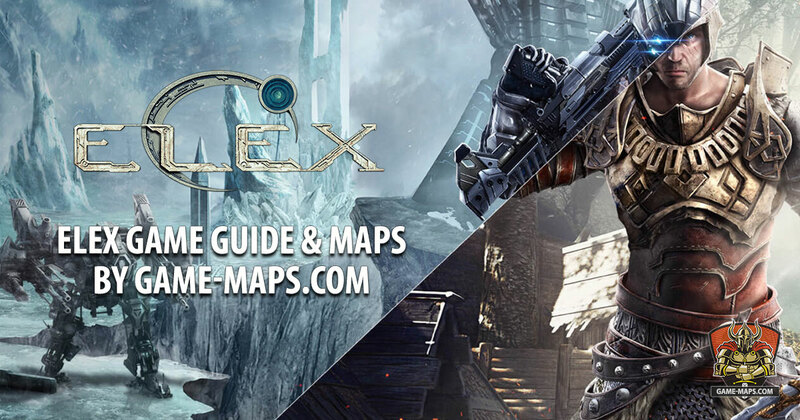 ELEX Maps, Atlas of Maps for Elex, ELEX Walkthrough, ELEX Guide, ELEX Wiki. Quests and Missions, NPCs, Teleporter Locations, Abilities and Attributes, Enemies, Secrets. 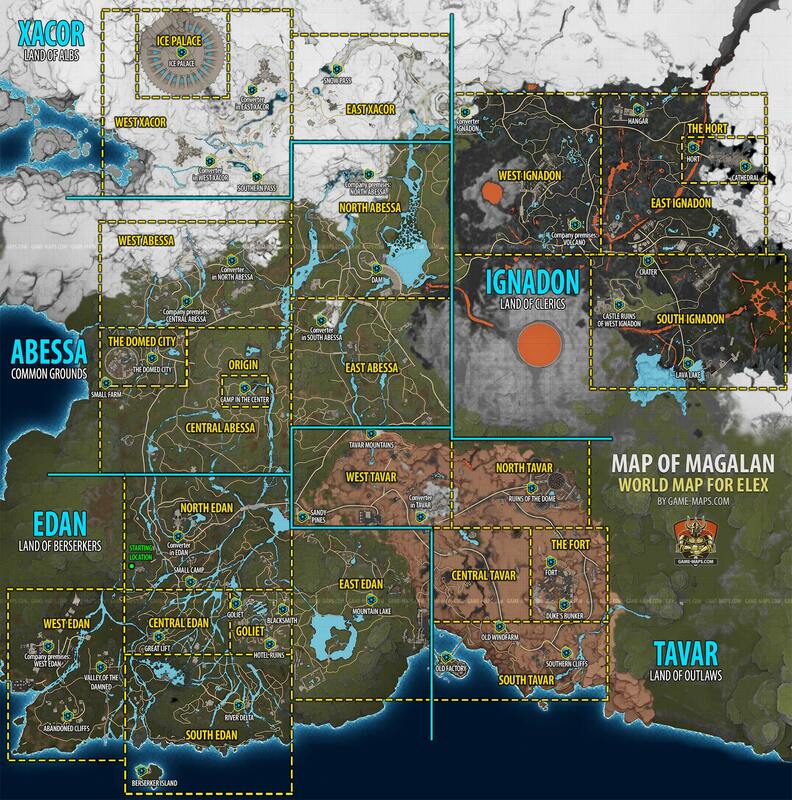 Location of all Teleporters in Magalan world of Elex Elex Teleporters. Elex advices, Tips and Tricks. Permanent World, Fractions and Advanced Abilities, Questing, Surviving, Traveling, Leveling, Inventory, Companions, NPC interactions, Unlock Chests. ELEX Walkthrough, Game Guide and ELEX Maps. How to develop your character in ELEX? How to invest Attributes and which Abilities you should train. Abilities, Attributes, Weapons and Armors for first levels. What weapon and armor use at the beginning of the game. Here you will find my character development hints for ELEX video game. List of all Character Abilities in ELEX video game. Abilities based on Strength, Constitution, Dexterity, Intelligence, Cunning. Combat, Survival, Crafting and Charisma Abilities. Berserker, Outlaw and Cleric fraction Abilities. ELEX is a difficult game. The world you are visiting is not friendly to our hero. Easy locations are adjacent to high-level areas. Here you got Save Zones to visit in the first place. List of Weapons available in ELEX with Damage and Attribute requirements. One-Handed, Two-Handed, Bows, Energy, Ranged, Heavy Weapons and Shields. 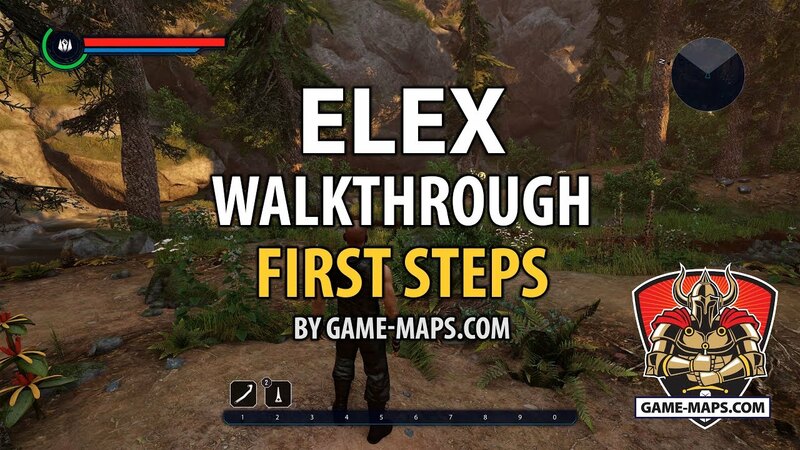 First minutes in ELEX with hints (video). How to find and obtain the first weapon, armor and equipment? The Claws is secret underground organization of thieves in ELEX, like Guild of Thieves. Their headquarters is in sewers below the Domed City. You have to get (or steal) Strange Key from Vito, tavern keeper in Domed City. Use Strange Key to open Strange Mechanism to open trapdoor leads to The Claws headquarters and join them. Magalan, wonderful, rich world, until the meteor hit. Earthquakes shattered its cities. Firestorms swept the planet and as Magalan fell into darkness, the survivors faced a world that was unrecognizable. The Comet had brought something new. Elex, an element unknown to Magalan, it could fuel technology, change the evolution of life, open new abilities, to those with the will to control it. Fighting amongst the ruins of the Old World, new factions arose, each with their own vision of the future. The Berserkers from wild and green Edan. They are transforming Magalan's shattered wastes into lush, living woodland. Elex gave them the power of magic. The Clerics from permanently active volcanically area Ignadon. Followers of the god Calaan, they see the consumption of Elex in any form as a sin. Instead they use Elex to power their machines. Elex gives them new technological innovations. The Outlaws from rocky, desert wasteland Tavar. They live in a brutal world where anyone can rise to the top rewarded for their strengths and use Elex to free their minds. All three fractions were seduced by Elex's power, most of remainders began to consume it. Addicted, overwhelmed, most degenerated into vicious, mindless mutants. But, there were some who could control their addiction - The Albs. The Albs from frozen mountains of Xacor and their fortress Ice Palace. To them, at the cost of their emotions, Elex offered strength, focus and stamina. Seemingly unstoppable, the Albs have waged war on all who stand between them and their need to obtain Elex. The Albs threaten the future of all the factions on Magalan. Now, as Alb forces prepare their final assault. You are Jax, a renowned Alb Commander, sent on solo mission to change the fate of Magalan. Elex is developed by Piranha Bytes (creators of the award winning Gothic series) and published by THQ Nordic an action role-playing, open world, single player, video game for PC, PlayStation 4 and Xbox One, set in a brand new, post-apocalyptic, science-fantasy universe where magic meets technology. Elex release date is October 17, 2017.